This Hamda Al Fahim gown stole my heart when I first saw it. It reminded me of the perfect something blue for a blushing bride. Consider me like Summer in 500 Days of Summer. Well, partly. I've been sort of averse to marriage for a while. I could bore you with my idiosyncrasies on the topic, but I'll just say I'm not the kind of girl who has her wedding planned out on Pinterest (though if you are, totally cool. It's pretty convenient to have once that special someone proposes, right?). But I've sort of softened up to the institution. My gorgeous cousin Tiffany was married this past summer and the ceremony, reception, and that DRESS were absolutely breathtaking. A close friend in business school got engaged this past winter and one of my managers at Coach is now rocking a stunning diamond on her ring finger after her boyfriend proposed this past weekend. It seems weddings are all around me, so I thought I'd share my ideal wedding look. That is if I ever get married... Ha! The gorgeous intricate beading and embroidery on this gown's lace sleeves and bodice add to its ethereal feel. I've always loved Blair Waldorf's wedding dress in Gossip Girl when she finally married Chuck Bass at the series' end. The sky blue Elie Saab intricately beaded gown is a dream wedding dress of mine and so perfectly encapsulated her style, of course featured with a silver wreath headband (you got to love Blair Waldorf and those headbands). The thought of a blue wedding dress has always appealed to me. I could never be a traditional bride, and something about a blue dress just seems so fashion-y. One day I was randomly searching blue wedding gowns on Google and came across this ethereal masterpiece by Hamda Al Fahim, a UAE-based designer whose gowns will make you swoon. If I ever do decide to take that leap, this is the dress I'll be wearing. The deep-v down the dress' front and back, the three-quarter beaded sleeves, the satin waist belt, and the tiers of ruffles make this my dream dress come true. It's high-fashion meets fairytale. And it's very Cinderella, which I can't get enough of since seeing the live-action film starring Lily James. 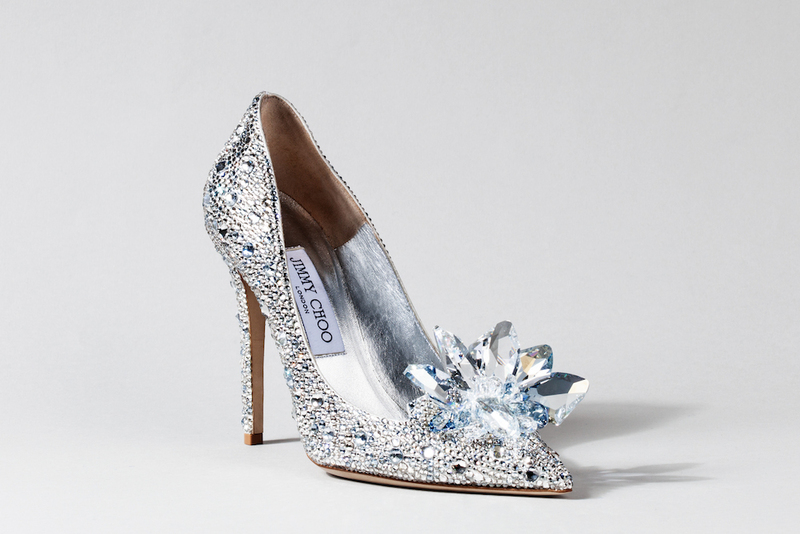 To go with the Cinderella theme (though a blonde I am not), I would pair it with these modern glass slippers, an incredible pair of perspex and Swarovski crystal Charlotte Olympia platforms, made specially for the release of the live-action Cinderella. They're sold out now—and way out of my price range anyway—, but a girl can dream. "A dream is a wish your heart makes" after all, right? Cheesy. Okay, I'll stop. I'm just really obsessed with these shoes! A glass slipper for the modern gal, these perspex and Swarovski crystal Charlotte Olympia platforms are like a fairytale brought to life. Though I'm certainly no where near an alter (and in NO rush), nor am I starting that Pinterest page, this look is truly inspiring. So Style Strutters, do you have a dream wedding look? Or if you're married, how did you style yourself on your special day? Share in the comments! Also, checkout the gallery below with some of my favorite blue gowns and wedding dresses along with some of the glass slippers designed for Cinderella that would pair perfectly.